Asmaa Ali had her B.Sc. in Computer and Software Engineering. She is working towards a research degree in the field of Bioinformatics. She is a software developer, Data Analyst and Bioinformatics Instructor. 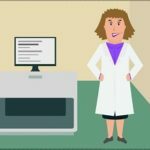 Bioinformatics touches many aspects of everyday life – health, nutrition, environmental care, forensics – and is a major element of modern research in the life sciences. 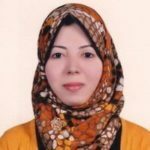 However, it is a fairly young scientific domain and is still poorly known to the layman that’s why introducing the field of Bioinformatics to a lot of people is one of the goals that Asmaa is seeking to achieve.